What is Rock Candy magazine? Rock Candy Mag is a 100-page, full-colour bi-monthly rock mag available in glorious print – and a little bit grudgingly in digital format. It covers the sights, sounds and smells from the greatest era ever in hard rock music, the ’70s and ’80s. Maybe we’ll dip our toes into the ’90s once in a while. Depends how we’re feeling. But the mag is proudly, flag-wavingly, unapologetically nostalgic. Why? Because rock’n’roll was better then. Respected rock writers who were there at the time and who feel there isn’t anything out there these days that really speaks to them. You want names and the mags they wrote for? No doubt more of the old guard will be making their Rock Candy Mag debuts in the months to come. How much does Rock Candy Mag cost direct from us? If you buy a single issue direct from this website it costs £6.99. A three-issue subscription costs 5.99 per issue. Please be aware that there are postage and packing charges on top of those prices. These vary depending on where you are in the world. How often does Rock Candy Mag come out? Every two months, which might sound a bit weird. But there’s a logic behind it. Given the small staff we have, it takes us all of two months to write, research and produce the high-calibre stuff we insist on for each and every piece that appears in Rock Candy. You mean which magazine publisher? Nobody. Rock Candy Mag is privately funded, which means we can do what we want, when we want. That’s why we do eight page features on Krokus and Angel. No regular publisher would let us do that… In fact, no sane person would let us do that. How can I get hold of Rock Candy Mag? You can buy Rock Candy Mag direct from us via the payment system on this website. Or if you prefer you can buy it in shops around the world. Prices will vary depending on your location. If you buy direct from us here you get a free digital download of any issue you buy. How can I subscribe to Rock Candy Mag? That’s easy. Just click here. What a wise choice you have made! If you are in the UK, it’s £2 per issue, anywhere else in the world is £5 per issue. We’ve tried to keep it simple, because we are simple folk. Can I get Rock Candy Mag in the shops? Yes you can. We’re published in the UK and you can get Rock Candy Mag at many good retailers. In the US we’re available at Barnes & Noble and several other well known retailers. We are also available in other countries throughout the world. Can I get the digital version only, and not the print version? Nope. 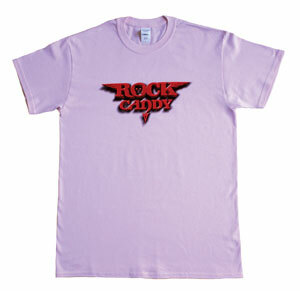 We believe the whole immersive Rock Candy experience demands the print medium. The world of rock we cover is loud, proud and wildly colourful. We believe only print can do justice to Steven Tyler’s outfits, Poison’s make-up and Rob Halford’s whip. And nobody ever got excited about being on the homepage of a website, did they? Who’s the editor and how do I speak to him? Howard Johnson, but everyone knows him as HoJo. He wrote for Kerrang! from its earliest ’80s days, then went on to edit Metal Hammer and Raw. He also worked for Iron Maiden for a while, before becoming the world’s worst press officer at RCA for a (mercifully) short period of time. You can email him at hojo@rockcandymag.com – and he promises to reply. Is Rock Candy Mag anything to do with the Rock Candy record label? Yes it is. Our Big Boss and Master Of Mayhem Derek Oliver founded Rock Candy Records back in 2006, licensing classic rock albums that were often out of print, and which demanded to be heard. Rock Candy Records now has a catalogue of over 300 great rock albums, all re-mastered and re-packaged to Derek’s demanding standards. 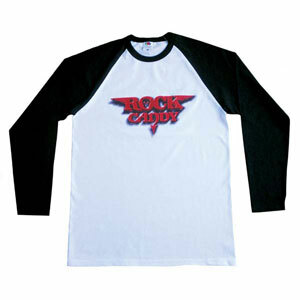 Have a look for yourself at www.rockcandyrecords.com. Rock Candy Mag is built in the same spirit. BUT, we’re not just a marketing tool for the label. We pride ourselves on our collective journalistic pedigree developed over many years writing for Kerrang!, Metal Hammer et al. We have total editorial freedom to write about whoever we want, however we want. How can I buy back issues? Easy! Simply click here to buy any of our previous issues. 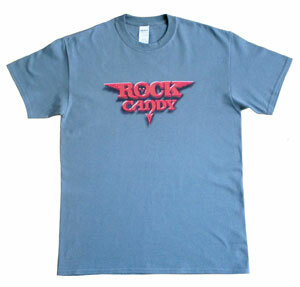 www.rockcandymag.com. Why is Rock Candy mag on Facebook, Twitter and Instagram? We need to use all means possible to get to people who will like what we’re doing. Twitter, Facebook and Instagram don’t cost us anything to put together, advertising-wise, and they really help people find us. Can I help Rock Candy Mag? The first thing you can do is subscribe to the mag. We’ll love you for it! But telling all your rock friends about us would be amazing. That can be by word of mouth, via Facebook, Twitter, Instagram, whichever social media you use, really. The more people know about us and buy Rock Candy Mag, the more we’ll be able to bring you the best writing about the ’70s and ’80s rock scene and the best pix to go with it. How do I get in touch with the writers? You can email rock writing legend Malcolm Dome at malcolm@rockcandymag.com. For any other writer, just email editorial@rockcandymag.com putting the name of the person you’re trying to reach in the subject field. We’ll make sure your email gets to them. How can I get in touch about anything else? If you have an editorial question you can email editorial@rockcandymag.com. 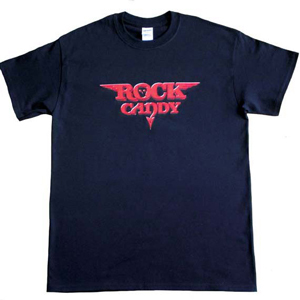 If you have a general question you can email info@rockcandymag.com. 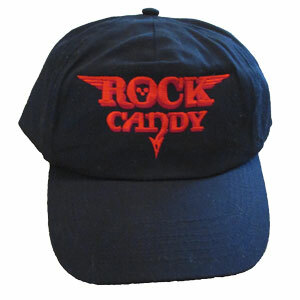 If you have a subscriptions question you can email subscriptions@rockcandymag.com. How do I advertise in Rock Candy Mag? How do I send material for review? Can I make suggestions for articles I’d like to see? Definitely. We may be living in the past, but we love the fact that it’s easy for you to talk to us. Make as many suggestions as you like. And we’ll always give you a personal reply.